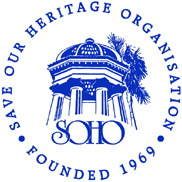 This is a growing list of links to a large body of web-based information on the benefits and responsibilities on historic designation, what other cities and neighborhoods are doing to preserve their character and resources, and links to local historical societies and community organizations, many of which conduct annual neighborhood historic home tours. NPS - What is an historic district? The Black Historical Society of San Diego is a non-profit 501(c)(3) organization. It was founded in 1992 by Karen Huff-Willis. "Our mission is to preserve, protect and interpret African American History in San Diego County." "Our goal is to provide a vehicle for preserving and promoting the contributions of African Americans in San Diego County and nationally, through research, genealogy, interpretive programs, special events and cultural tourism." The Clermont Hotel, at 501 Seventh Ave., received an historical designation in 2001 after the society refuted a city-funded study that said the once blacks-only hotel claimed no particular place in history. The University Heights Historical Society (UHHS) was established in 1997 to preserve the architectural, cultural, and historic resources in University Heights through research, education, and advocacy. The spark behind the Hillcrest History Guild began in 2002. While researching the neighborhood it was difficult to find photos and stories from our rich history, and we realized that as years pass these treasures would become even more elusive. Please help the Hillcrest History Guild collect and preserve our past for future generations. The Hillcrest History Guild will provide a place of safekeeping as our neighborhood history grows. Our Mission is to preserve the charm of the unique, historic neighborhood of La Playa. La Playa, established in 1849, is the second oldest subdivision after Old Town. There is a trend throughout San Diego of subdividing established neighborhoods that have already been built-out, and increasing density. We would like the La Playa community to come together to have a say in new development projects within our established neighborhood. The Normal Heights Cultural Council (NHCC), formed in 2001, is a group of local volunteers who seek to identify, increase awareness and enhance the cultural life of the neighborhood for the benefit of residents and visitors alike. The NHCC is creating programs that showcase the rich history, heritage and culture of the neighborhood while looking toward the future. The primary purpose of the North Park Historical Society is to conduct research and educational outreach in order to facilitate preservation of North Park's cultural and architectural history. The La Jolla (California) Historical Society is an active organization of more than eight hundred members. We are dedicated to the discovery, collection and preservation of La Jolla's historical artifacts, memorabilia and sites and structures. We are committed to increasing the community's awareness of its heritage by providing access to our collection and disseminating information. The purpose of the Ocean Beach Historical Society is to research, collect, preserve, and make available to the public all information, artifacts, art and memorabilia related to the history of Ocean Beach. Poway Historical and Memorial SocietyThe mission of the Poway Historical and Memorial Society is to bring together persons interested in collecting and preserving artifacts and information of historical value pertaining to Poway and its immediate environs. Through these endeavors, we can share with our children the heritage of our community --- from the pioneer days to the present. Founded in 1979, the Pacific Beach Historical Society publishes a monthly newsletter and meets quarterly in the Community Room of the Earl and Birdie Taylor/Pacific Beach Library, 4275 Cass Street, San Diego, CA 92109. We are an educational and cultural institution dedicated to preserving and sharing our growing historical collections and extensive archives with our members, visitors, and the community. We connect the past to the future so all generations will understand and appreciate the richness of San Diego's regional history. Make sure to check out their great section on Kensington history, with historic photos of houses in our neighborhood. Writing projects include scripts for tours of historic sites and heritage tourism locations, articles for magazines and newsletters, and designation reports for older homes and businesses.